With all the flair, surround-sound, and visual effects of a big-budget thriller-drama, this title sequence introduces the guests and speakers of Holland’s Playgrounds Festival, an annual event which brings together the finest creative minds from around the world. A series of stills depicting two hardened thugs in a bare-knuckle scrap, are rendered in three dimensions against a bleak, urban backdrop. With meticulous sound design bouncing through the speakers, designers Onesize created a metaphor of the creative process which too, often presents an internal battle of wills. As high impact meets slow motion for heightened drama, this sequence mesmerizes from start to finish. Watch our video interview with Onesize in their studio talking about their event titles for OFFF, Playgrounds, and their cosmic opening titles for Spanish features 3:19 and El Búfalo de la Noche. The item includesscenes from the official 'Making Of' the Playgrounds titles, in which Onesize explains mapping photographs on to 3D computer models. Article: Lotje Sodderland © Submarine Channel 26 March 2013. Onesize is a Dutch creative motion studio founded by two creative partners, Kasper Verweij and Rogier Hendriks. Formerly located in Delft, the designers moved their studio to Amsterdam in 2010, where they mix "media like live-action, photography, 3D, graphic design, interaction design, sound design and music are used in order to create new ideas, develop new techniques, new design tools, and a distinct visual style." We filmed Kasper Verweij and Rogier Hendriks in their, then, brand-new studio in Amsterdam, intoxicated by the fumes of fresh paint. 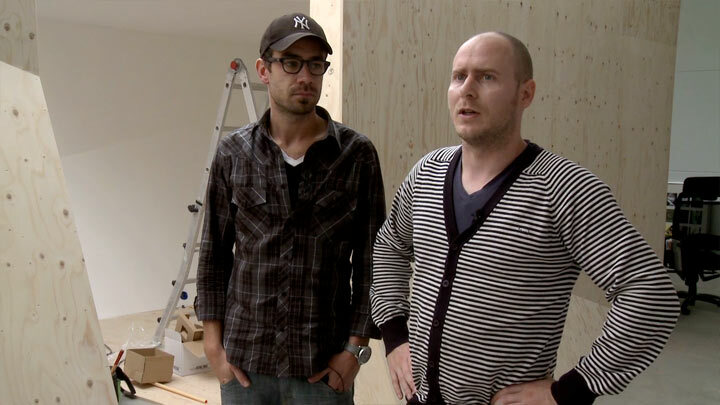 The profile features interviews with founders Kasper Verweij and Rogier Hendriks and 3-D designer Harm van Zon. Watch the interview here.